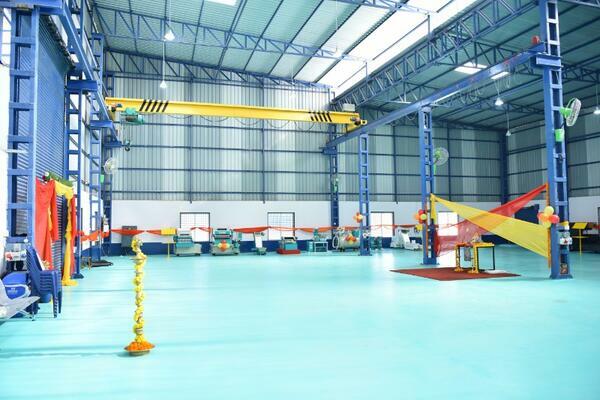 Bangalore, Karnataka – U-Tech Utpadan, a part of the Bangalore-based `60 crore U-Tech Group, has opened a new modern assembly facility and a full-fledged fabrication shop. According to its agreement with Bharat Fritz Werner Ltd (BFW), the facility is to manufacture and supply Chip Conveyors and Coolant Systems that meet BFW’s requirements. The project cost, over a crore of rupees, has been part financed by BFW under a soft loan arrangement. Under the ‘JIT’ model, U-Tech Utpadan will manufacture and stock BFW requirements, supplying the same to its production line just in time, reducing inventory costs. Being in the same city, the physical proximity of U-Tech Utpadan’s new facility to the BFW manufacturing plant is slated to reduce transportation costs.